With space now at a premium kicking is essential in breaking up a defence’s rhythm, both as a way to relive and then exert pressure on key areas of an opposing team. Arguably there is currently no team in the world with a better kicking game than Ireland. 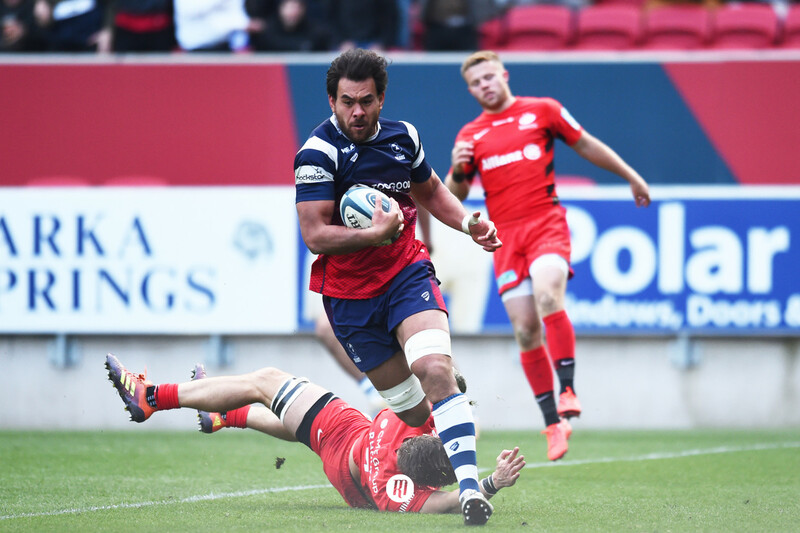 Whilst tactical kicking has always been important to Rugby Union modern defences have made good tactical kicking one of the most important parts of the game. That shouldn't be news to anyone, their use of the kick has been instrumental in the momentum they’ve built in their ascension to one of the best sides in World Rugby. As an example, against New Zealand Ireland kicked around 29 times from hand (excluding penalties kicked directly to touch). The rest of the team kicked the ball eight times, Earls (3), Stockdale (3, including THAT try), Healy (1) and Ringrose (1). Traditionally you’d expect to see a half back kick to touch much more but we can see from the following figures that Ireland's kicking objective is to place their opponents back three under pressure as often as possible. What this tells me is that Ireland kick with a genuine purpose. They are seldom, if ever, forced into kicking as a reaction, through panic, even when in their own areas of the pitch. Of course this shouldn’t be news to anyone who follows the sport, but what does this actually look like in reality? If we look at the opening passage of play from Ireland vs New Zealand - it shows us both how Ireland look to use the kick chase to exert pressure, and interestingly I think it also shows us the best way to deal with it (or not as the case may be). New Zealand kick-off going from right to left and kick long, just short of the 22. To turn as many of the Irish as possible and send them backwards. Ireland tend not to avoid option one as their game is built around applying constant pressure and usually opt to kick to challenge. As Marmion kicks, we can see Ireland’s kick chase formation. Earls is wide and will lead the chase looking to compete. He’ll try to put pressure on the receiver and either steal the ball or force an error. Van se Flier will push from the inside of the ruck (in to out) making sure that in the event Earls is beaten to the target, there is a second defender to meet the ball carrier. He will be supported in that second wave by the previous ruck grouping. As it plays out watch how they fill the space behind Earls to completely close off that channel and disrupt the All Blacks’ kick receipt. Once Earls forces a mistake in the air and as it rebounds to Savea and then Barritt, watch how Sexton and the wider kick chasers push up to cut off the counter attack and drive Barritt back into the heavy traffic. 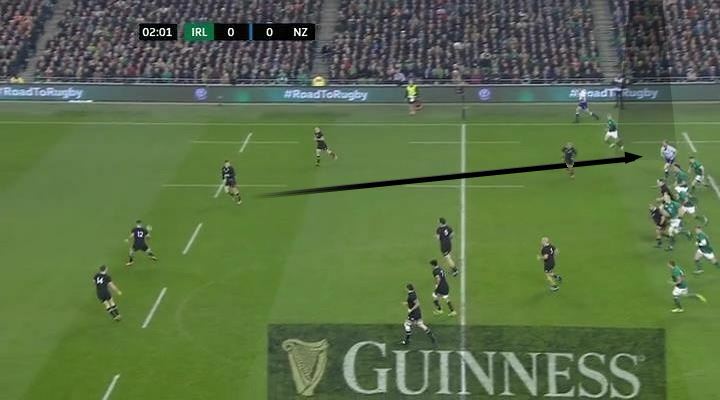 Both of New Zealand's main counter attackers decision makers are, as seen above, out of the game, and rather than getting in behind an unset defence they now have to try and break down a set physical Irish defence. Something they struggle to do, resulting in Barrett kicking high into the air. Interestingly, watch how Kearney doesn’t come forward to meet the ball despite being in a perfect place to compete. Instead he leaves it for Stockdale. There is a method to be witnessed here, in that as the last line of defence you don’t want to commit your 15 unless it’s absolutely his ball. If there is a mis-fielding of the ball (as here) he’s there to tidy it up. If the opposition gather the ball you still have a defender to make the tackle. If Stockdale gathers he has a support runner/assistance. We see this play out as fortune gives the ball to Kearney, who again looks to build their kick chase. Marmion works the ball through a few phases, and we can see Sexton indicating when it’s time to go to the air. This time Stockdale is the lead chase, with Ringrose, Toner and Van de Flier the second chaser. Again the ruck unit will fill the middle space and also watch how they remain connected as the wider defence chase up. This is key absolutely key. If the kick is poor and New Zealand try to counter attack, they are met with a solid defensive wall they must endeavour to either get around or through. And at the ensuing ruck we can see how quickly Ireland get off the line, stopping New Zealand another 5-6 meters behind the gain line. The result is a fantastic kick from McKenzie cross field pushes Earls back into his corner and off his returns it’s a lucky bounce from Smith’s up an under that eventually sees Ireland pushed back into the same corner they started in. NB: This time seeing Marmion is not in the best of positions Kearney comes forward fast to try and win the high kick. This opening few minutes is absolutely text book from Ireland and it’s two fantastic kicks form McKenzie and Barrett that see Ireland make a loss in ground here. However this kick chase is something we see them do over and over again and use to gain a foothold in the game. So how do you deal with this kind of kick chase and what can England do to turn it to their advantage? It’s important England don’t let Ireland's chasers have an easy time. If we look back at the very first kick Earls manages to race through relatively unscathed. If New Zealand fill this side of the ruck with another body, or Smith gets there earlier instead of sitting behind the ruck, Earls has to run out and then back in or fight his way trough the traffic. Either way, it buys New Zealand a couple of meters and it’s the difference between catching the ball relatively challenged and getting clattered in the air. To be the dominant person in the collision, it all counts. Remember the New Zealand players do not have to move, they can stand their ground, they just can’t change their line. This not shepherding where you move into the line of the chaser, it’s simply making the chaser (in this case Earls) run further. Number Two: Getting bodies under the ball. More specifically, getting the backrow bodies under the ball. In both these clips we saw New Zealand rely on their back three and fly-half to drop into the pocket and clean up the kick chase. McKenzie and Barrett in the first, Barrett and McKenzie in the second. Vunipola, Hughes and Wilson are all adept at dropping into the pocket. 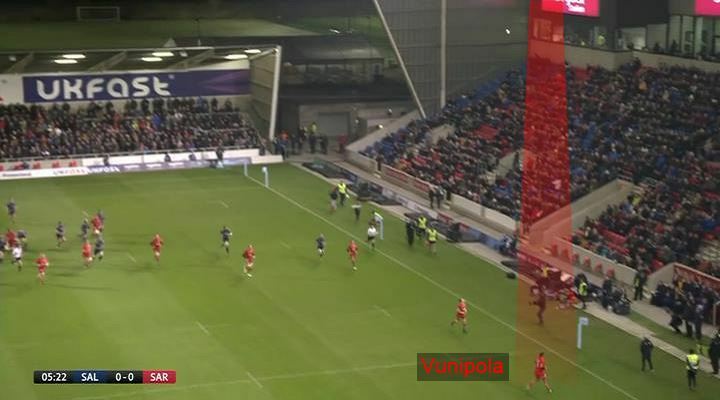 A good example of the impact dropping a back rower into the pocket can be seen here in Saracens’ loss to Sale earlier this season where, seeing Vunipola in the back field, Faf de Klerk kicks directly to touch rather than risk him trundling it back. Carry the ball back against an outside back chasing. Again it’s small margins designed to take little chunks of momentum away from Ireland's kick chase. Number Three: Play the space behind (Early). If Ireland are able to put England under pressure with the kick chase then England would do well to play back into the pocket behind that same kick chase. If we look again at the first kick chases we can see Ireland leave a lot of unguarded space. The objective should be to drill it into touch and while Kearney is in the backfield, with Earls either at the bottom of the ruck or defending in the line on the first few phases, the fullback is isolated. 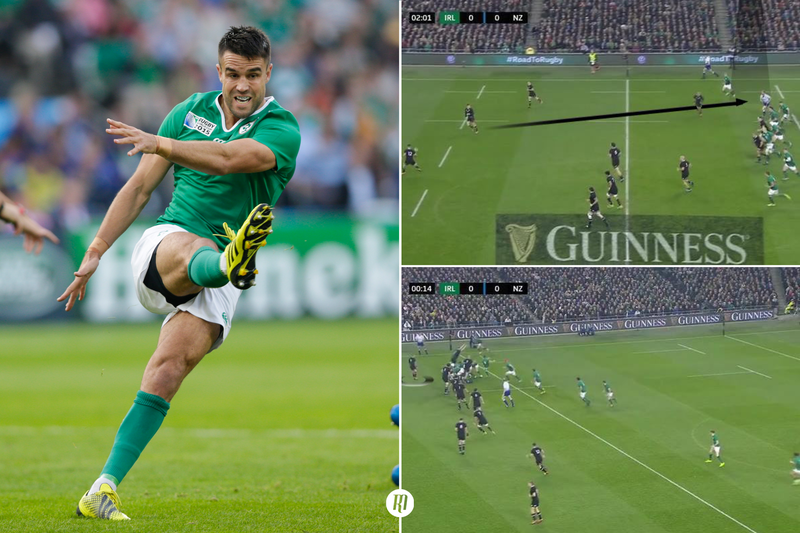 If New Zealand had kicked here and Kearney had controlled possession then the likeliest scenario is he would either kick the ball long with no kick chase team behind him. On the second kick chase we again see that space open up and McKenzie should of perhaps kicked in behind instead of kicking open to Earls. 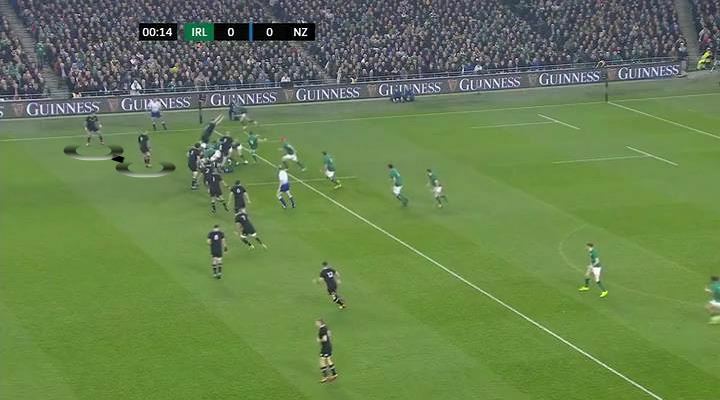 Regardless, Earls’ kick gives New Zealand an excellent counter attacking opportunity and a short pop/good pass from McKenzie would have given Barrett the chance to attack this space the kick came from rather than going open. Fielding the ball safely is only the first step to snuffing out Ireland’s kick chase, if England can look to exploit these spaces and force long kicks from the back three, they have have counter attack opportunities. Failing that England may do well to revert to type and play boring into-the-corner rugby. Imagine how that will sit with John Mitchell?